Last week VIA re-released their Chrome 9 DRM in hopes of pushing it into the mainline Linux kernel. However, the only user of this DRM code at present is their Linux binary graphics driver and VIA Technologies has no intentions of providing an open-source Chrome 9 3D driver. However, within a month or so, VIA claims to be releasing a new 2D driver that can use this DRM to some extent. This whole situation with VIA has reignited the discussion over what to do when a company is interested in pushing an open-source DRM driver into the mainline Linux tree, but it's really only used by closed-source user-space drivers. Thomas Hellström of Tungsten Graphics / VMware initiated this most recent discussion, which can be found on the Linux kernel mailing list. He notes that some open-source developers are against allowing an open-source DRM that is just used by a closed-source driver for security, user-space interface validation and maintainability, and political reasons. The security aspect can be partially circumvented via public, NDA-free documents surrounding the hardware, and as Thomas proposes, by a documented security analysis of the driver that is written by the involved developer(s). In regards to the stable user-space interface, Thomas notes that often when open-source drivers are published for review they actually receive very little feedback and that in his opinion small programs that demonstrate the interface functionality would be sufficient for those companies still wishing to remain partially closed-source. The last (and biggest) argument is the politics among developers. Thomas concluded his message by calling for a documented process for submitting DRM drivers upstream. This proposal consisted of having the driver obey the Linux kernel coding style, a short description of the underlying driver architecture and its future plans, a security analysis, an open-source user-space that exercises all of the functions of the DRM, fully open documentation regarding the programmed hardware (if the open-source user-space is not proposed), and a user-space interface description. Well, once Thomas sent this message off to the mailing lists, it was obviously greeted with mixed views. Immediately he was greeted by comments over Thomas pushing his closed-source agenda at VMware and that drivers that aren't usable without binary blobs don't belong within the kernel tree, etc. 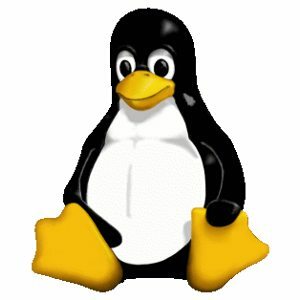 Alan Cox chimed in with the existing Linux kernel policy of rejecting code that will only work with software that is tightly integrated with it but not open-source. Alan proposed that someone gets an open-source driver working with this DRM that at least provides EXA functionality before submitting the DRM module for inclusion into the Linux kernel. Stephane Marchesin of Nouveau fame then raised several scenarios... What if creating an open-source driver down the road that uses the said DRM ends up breaking the interface used by the closed-source driver? What if a security hole is indeed found in the DRM later on? What happens when DRM infrastructure changes require updating all DRM modules? These were all points raised by Stephane, in the end though he believes accepting DRM modules that support binary user-space components is "like opening Pandora's Box." Other developers have also chimed in with their views on whether the Linux kernel community should allow open-source DRM (such as what's being submitted by VIA) but in order for it to function it's dependent upon a closed-source user-space. Tell us what you think of this situation in the Phoronix Forums.